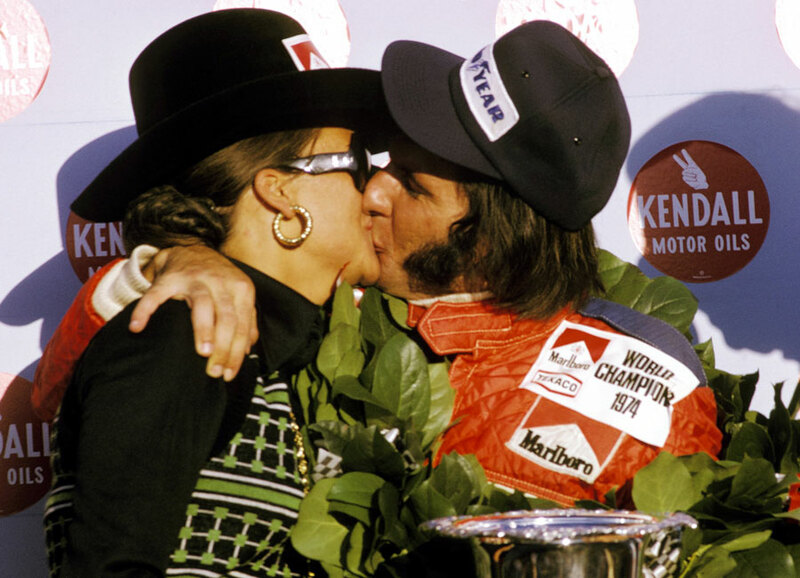 Emerson Fittipaldi secured his second world championship in a race marred by the death of young Austrian driver Helmuth Koinigg. The championship permutations were relatively simple: the highest points finisher out of Fittipaldi and Clay Regazzoni would win the title as they went in to the race tied on 52. The only other driver in the reckoning - Jody Scheckter - was seven points back and needed victory to stand any chance of winning the championship. Carlos Reutemann took pole position as the Brabhams proved strong around the Glen, with Carlos Pace qualifying fourth behind James Hunt and the impressive Mario Andretti in the Parnelli. Then came Niki Lauda, Scheckter, John Watson in a third Brabham, Fittipaldi and Regazzoni. Reutemann led away with Hunt in close pursuit, while Andretti's race ended in the opening laps as electrical problems forced him out. That left Pace in third and he started to ease away from Lauda, Scheckter, Fittipaldi and Regazzoni. On lap nine, tragedy struck when Koinigg went head on in to the barriers due to a puncture. His Surtees pierced the bottom guard rail and Koinigg was decapitated. Once the news reached the Surtees pit it withdrew its other driver Jose Dolhem, but the race continued. Regazzoni had been dropping back from the pack ahead of him as the Ferrari struggled with tyre problems, and when he pitted for a new set he was out of the championship running. That left Fittipaldi knowing that he only had to cover Scheckter, but his job was done for him with 15 laps to go as a fuel leak forced Scheckter to park his Tyrrell and Fittipaldi was champion. At the front, Reutemann had pulled out a 15 second lead over Hunt, who in turn had over 10 seconds on Pace. The Hesketh then developed an engine problem and Pace quickly erased the gap to take second place with five laps to go. Hunt managed to nurse his car home but ended up a full minute behind Pace in third place, with Fittipaldi crossing the line fourth ahead of John Watson and Patrick Depailler. Once again it was a season finale at Watkins Glen overshadowed by death, while there was to be no swansong for Denny Hulme either as his engine expired four laps in to his final race.